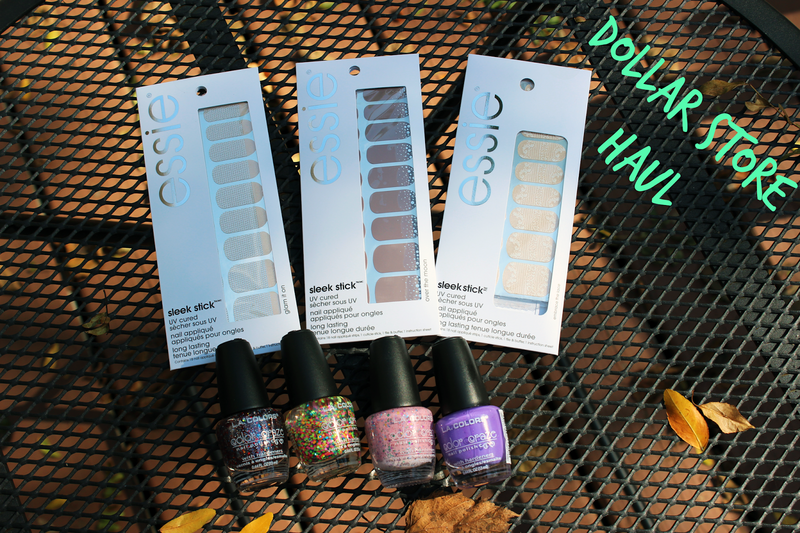 Glazed Over Beauty: Dollar Tree Haul! While running important errands this weekend (TJ Maxx, Big Lots... etc.) I decided to stop in to my local Dollar Tree and see if any fun beauty products had come in. Lucky for me (and you!) they had some really fun nail stuff that I couldn't pass up for such a cheap price! 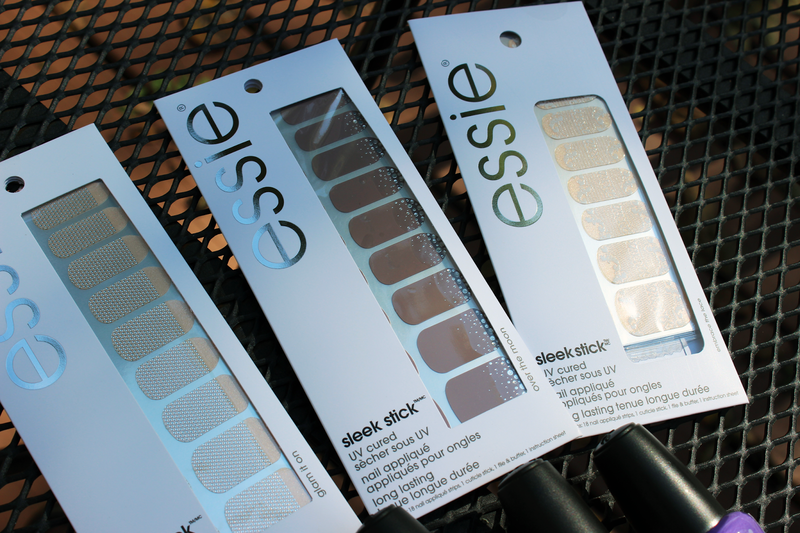 These Essie UV-cured nail strips retail for $9.99 at target! What an awesome Dollar Tree find! While they had a few other designs, I got only three: glam it on, over the moon, and embrace the lace. Nail strips are pretty hit or miss for me. Sometimes they work great, other times I can't get them to evenly fit on my nail. If you have any tips for me, please let me know in the comments! LA Colors nail polishes are a hidden gem in the beauty world, in my humble opinion. I never see anyone write about them, but they perform pretty well and they have an extensive selection of colors. 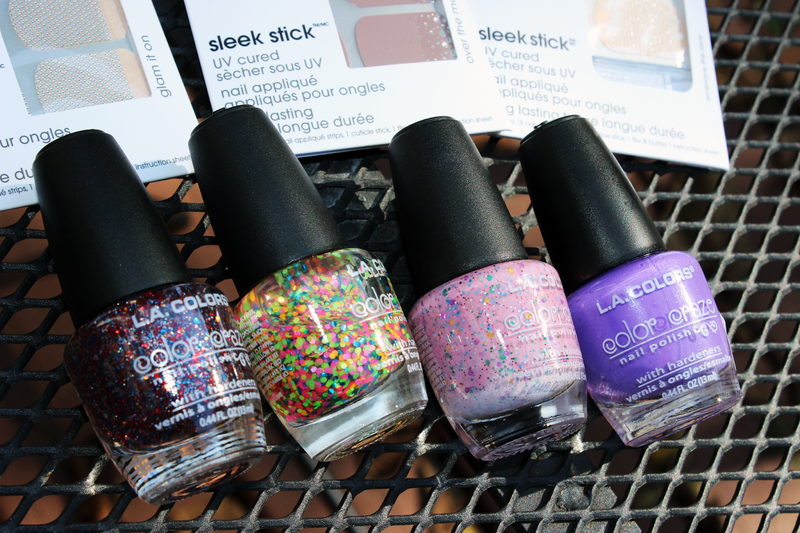 These super fun shades could not be left behind so I snatched up (L to R): Confetti, Craze, Candy Sprinkles and Purple Passion. Fun items like these come and go quickly at Dollar Tree. 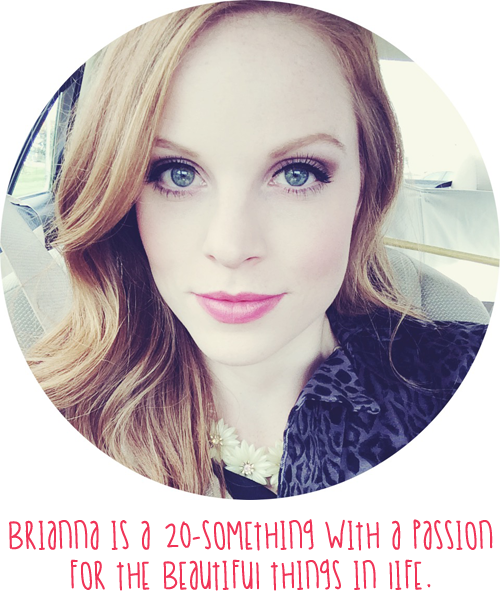 Head over to your local store to see if you can find anything fun - and let me know if you do! Those are great finds! You never know what you will find at Dollar Tree! I need to get my but over to the dollar store an check out that makeup aisle. Great finds!